Maintaining permalinks is not the same as redirecting permalinks. There is a big difference between these two similar sounding words which are worth understanding before you attempt Blogger To WordPress migration yourself or buy a service like ours. Rather than talking directly about the differences between the two concepts, let’s first understand every point that is involved. Permalink means “Permanent Link”. It is a unique URL for each article on your blog. Even if you publish two posts with the same title, they get different permalinks (i.e. URL). Why Permalink is a big deal? On the Internet, a permalink represents a unique address for each of your blog posts and other stuff. So if a permalink breaks, your visitors will be lost. For clarity, just think of permalink as postal addresses in real world. If you have the wrong postal address on your visiting card, all gifts & cards sent to you will be lost or returned! Similarly on the Internet, if a permalink breaks, the visitors coming from search engines, social media, bookmarks, backlinks from others posts will be lost. When you move your blog from Blogger.com to WordPress, the permalink structure gets altered. This is where your old permalink breaks by default. As WordPress is flexible, you should take extra efforts to fix permalinks so that WordPress uses same permalinks for posts as they were on Blogger.com. This is what we call maintaining permalink. The point is your posts are accessible from old permalink even if you move to new blog. In real world, continuing with our old example of postal address, this is analogous to renovation or rebuilding your home. If you build your new home, exactly at same place as your old home, your postal address will not change. So all gifts & cards will continue to reach you without any problem. This is an ideal solution and this is what we offer in our commercial service. The same is also mentioned in our free Blogger to WordPress Migration – DIY Guide. As you know by now, when you move your blog from Blogger.com to WordPress, permalink structure gets altered. A quick way to fix this is by using our free Blogger to WordPress Redirection plugin. 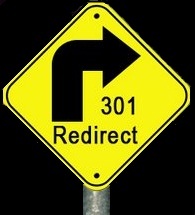 Our plugin sets up “redirection” properly so that no permalink remains broken. It does that by doing some stuff on your WordPress and Blogger.com blog, which together makes sure that a user who goes to your old permalink on Blogger.com blog automatically gets redirected to new permalink for same post on your WordPress blog. In real world, redirecting permalinks is analogous to shifting to a new home. Your postal address changes as you shift from one home to another. Now you are a wise guy and you will put a notice about your new address on door of your old home. Our plugin acts like just that notice on your door. Sounds cool, huh! But this approach even though sounds simple and quick, has some limitations. Just like in real world, not everyone coming to your old address will take a note of your new postal address, and will take an effort to reach you, on Internet redirecting permalinks is not 100% safe. Facebook/Twitter count will reset for sure. New permalink will have all zeros. Google pagerank for new permalink will be zero. New permalink may gain Google pagerank over the time but big risk. Human visitors will notice delay in opening your posts on WordPress. Delay will be obvious if they are using slow Internet connection. This doesn’t sounds like an ideal solution. But it exists for reasons explained later in this post. Read on! This is something worst of all! This will happen if you import from Blogger.com to WordPress using built-in importer and start using WordPress right away. If you do not take any extra effort to use free guides/plugins or hire geeks like us, you will loose traffic, ranking and of-course Google AdSense revenue from your blog. This is like shifting your home but not taking efforts to put a notice about your new address at your old home. This is like giving away visting cards with old address! I believe everyone here is smart enough to understand consequences of such stupidity. Yes, its stupidity, unless you have nothing to loose! As you are spending time to read this article, I believe you have something to loose. 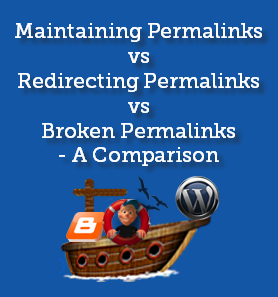 At this point we are clear about the difference between – Maintaining Permalinks vs Redirecting Permalinks vs Broken Permalinks! 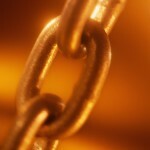 Lets get back to the basics of permalinks in context of Blogger.com. Please note the difference in the domain name! As permalinks are URLs, to maintain permalink – the domain name part of the URL must be maintained as well. This simply means that “Maintaining Permalink” will work only if you are using custom domain setup on Blogger.com. Another reason is – you cannot install WordPress on http://example.blogspot.com/ i.e. a Blogger.com subdomain. Why Maintaining & Redirecting Permalinks co-exists? If you have started blogging using custom domain from day-1 on Blogger.com, “Maintaining Permalinks” alone will suffice you. In other cases, if you setup custom domain on Blogger.com before moving to WordPress OR you shift to WordPress when you were using subdomain on Blogger.com – you need to do both i.e. Maintaining Permalinks as well as Redirecting Permalinks. 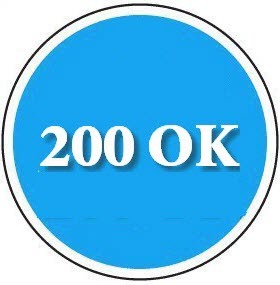 If you work only on the Maintaining Permalinks part, you will loose traffic from all permalinks which contains Blogspot.com in their domain name. I hope by now you understand the difference between Maintaining Permalinks & Redirecting Permalinks very well. If you decide to hire anyone to do your migration, just make sure they maintain your old permalinks. Of course, you need to have a custom domain setup on your Blogger.com blog in advance for this. That’s it for the day. If you have any questions/comments/suggestions, feel free to use comment form below! I have cross checked most of the links from your old blogger blog, and they are redirecting properly to new WordPress to their respective posts. Can you please create a forum topic with URLs which are giving 404 error?